We live in a world where many of us spend long periods of time in a sitting position. Unfortunately, this does no good favours for our lower back. Understanding the various causes of lower back pain as well as typical symptoms can help us to identify the best solutions and remedies to give us at least a measure of relief. 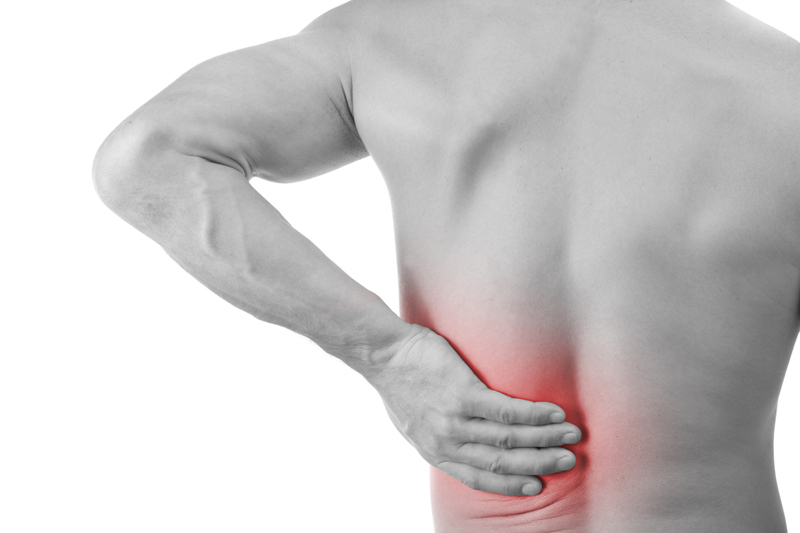 Making sure that we are very well informed on back pain can also help us prevent further injury or aggravation. Below you will find a brief outline to some of the main causes, symptoms and treatments for lower back pain. A common cause of acute lower back pain is a muscle or ligament strain that can give a lot of discomforts. Sudden movements such as lifting something heavy or twisting in an unusual way can cause the muscle or ligament to become strained. This is often recognized by a pain that travels either to the buttock, foot or leg. In general, the pain is ongoing, intensifies after long periods of sitting, and can be accompanied by a weak or numb feeling in the leg or foot. Read more how to treat sciatica and home exercises for fast recovery. This condition can also cause sciatica. It is may be as a result of spondylolisthesis or degenerative disc disease. Of course, there are many other causes of lower back pain. The ones mentioned above are just a few of the common causes. This can be an acute and sharp pain or a dull and continuous ache. Being fully aware of the type of pain you experience, the frequency of the pain, and the level of pain, as well as the location, can help your medical practitioner in diagnosing the cause of your lower back discomfort. Read more how to identify the exact cause of your back pain and begin a course of corrective care. This can include a numb or tingling sensation in the lower extremities, as well as difficulty in walking. Other symptoms that may be associated with lower back pain include joint pain, fatigue, and fever. Dizziness and a burning sensation when urinating can also be indications of back pain. For many causes of lower back pain, a specially designed exercise plan for the lower back is often part of the treatment plan. Where the damage involves injured tissue or nerve roots, a period of rest may allow time for the body to heal and relieve the symptoms of lower back pain. Hot and cold therapy can be very effective in working to reduce the inflammation and give a maximum level of pain relief. Learn when is the best to use ice and heat to make it effective therapy for reducing muscular tension. A medication may be recommended to reduce inflammation or reduce the level of pain experienced. Physiotherapy can be a great healer for people suffering from lower back pain. Using special techniques, this treatment works to ensure that the body is working to its optimum performance, addresses any imbalances and targets the neuro-musculoskeletal system. At MHealth, the goal of each physiotherapist is to work with you to reach your health goal within the quickest time possible. Certainly, coping with lower back pain can be both draining and worrisome. However, by understanding the main causes and symptoms of lower back discomfort, as well as the treatment available, you may be well on your way to ridding yourself once and for all of the pain in your lower back.